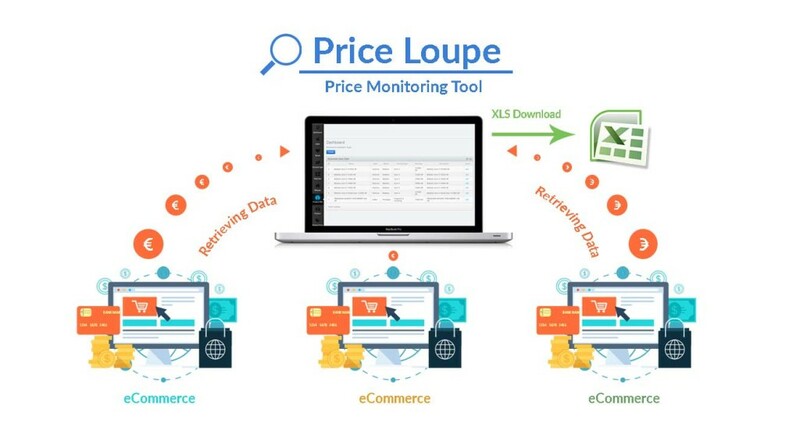 Price Loupe is a price monitoring tool, developed for eCommerce professionals, brand managers and online shop sellers. Due to a massive growing eCommerce, you need to compete with the emerging players on the market, yet with very little expertise to offer, except with only one weapon: price. It is the challenge also to well established brands. New players on the market can undermine brand’s value and market position that has been built in many years. In some countries, prices are regulated by the government, for example infant milk products. In others, prices can vary from others. If there is a way to gather pricing data, compare and analyze it, you can establish appropriate business relationships with various market players and control them carefully. You define which SKU and eCommerce website to track. Price Loupe extracts the pricing data automatically on daily basis. Our team will put and maintain the URL of the products. Pricing data is presented in a list of product prices along with the SKU. For better analysis you can download an Excel XLS file for reporting and analysis. Price Loupe saves you weeks and months of time and enables you to make timely decisions.